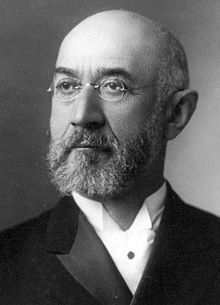 Isidor Straus (February 6, 1845 – April 15, 1912) was a German-born American Jewish businessman, politician and co-owner of Macy's department store with his brother Nathan. He also served for just over a year as a member of the United States House of Representatives. He died with his wife, Ida, in the sinking of the passenger ship RMS Titanic. Otterberg is a town in the district of Kaiserslautern in the German state of Rhineland-Palatinate with about 7,350 inhabitants. It is situated approximately 7 kilometres (4 mi) north of Kaiserslautern. The County Palatine of the Rhine, later the Electorate of the Palatinate or simply Electoral Palatinate, was a territory in the Holy Roman Empire administered by the Count Palatine of the Rhine. Its rulers served as prince-electors (Kurfürsten) from time immemorial, were noted as such in a papal letter of 1261, and were confirmed as electors by the Golden Bull of 1356. 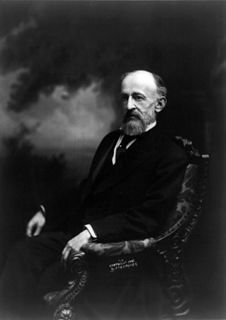 Rowland Hussey Macy Sr. was an American businessman who founded the department store chain R.H. Macy and Company. Rosalie Ida Straus was an American homemaker and wife of the co-owner of the Macy's department store. She and her husband Isidor died on board the RMS Titanic. 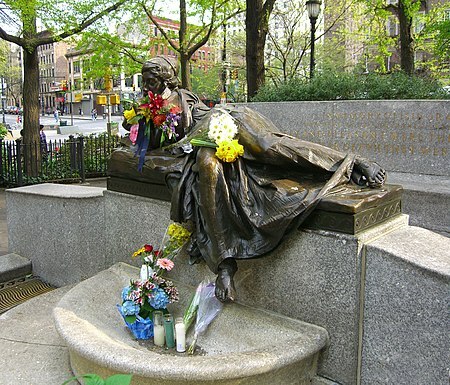 Abraham Abraham was an American businessman and the founder of the Brooklyn department store Abraham & Straus, founded 1865. The chain, which became part of Federated Department Stores, is now part of Macy's. 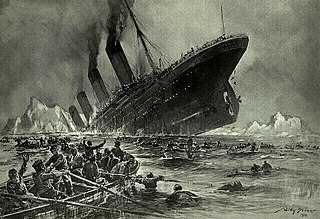 The couple is portrayed in the 1953 film Titanic, the 1958 film A Night to Remember , and in the musical Titanic, in scenes that are faithful to the accounts described above. In the 1997 film Titanic , the Strauses are briefly depicted kissing and holding each other in their bed as their stateroom floods with water. A deleted scene shows Isidor (played by Lew Palter) attempting to persuade Ida (played by Elsa Raven) to enter a lifeboat, which she refuses to do. Roger Williams Straus Jr. was co-founder and chairman of Farrar, Straus and Giroux, a New York book publishing company, and member of the Guggenheim family. 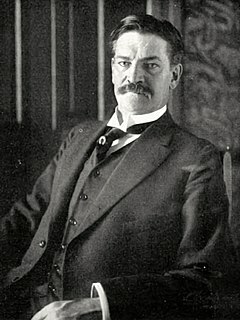 Oscar Solomon Straus was United States Secretary of Commerce and Labor under President Theodore Roosevelt from 1906 to 1909. Straus was the first Jewish United States Cabinet Secretary. Geraldine Mary Fitzgerald was an Irish actress and a member of the American Theatre Hall of Fame. 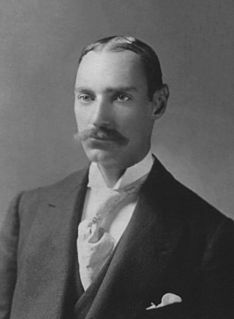 Fred R. Lazarus Jr. was an American founder of Federated Department Stores, which became Macy's, Inc.
Benjamin Sumner Welles, Jr. was an American philanthropist who was a descendant of many prominent Colonial families. ↑ "Isidor Straus Biography". History, Art and Archives. Office of the Historian, United States House of Representatives. Retrieved December 21, 2016. ↑ "STRAUS, Isidor - Biographical Information". bioguide.congress.gov. ↑ "Straus, Percy Selden, 1876-1944". The Frick Collection - Archives Directory for the History of Collecting in America. Retrieved June 4, 2018. ↑ Harvard College Class of 1897 Fourth Report. Forgotten Books. February 6, 2018. p. 197. ISBN 9781334712180. ↑ Lyons, Richard D. (January 21, 1994). "Stuart Scheftel, 83; Executive Took Part In Many Civic Posts". The New York Times. New York Times. ↑ Rines, George Edwin, ed. 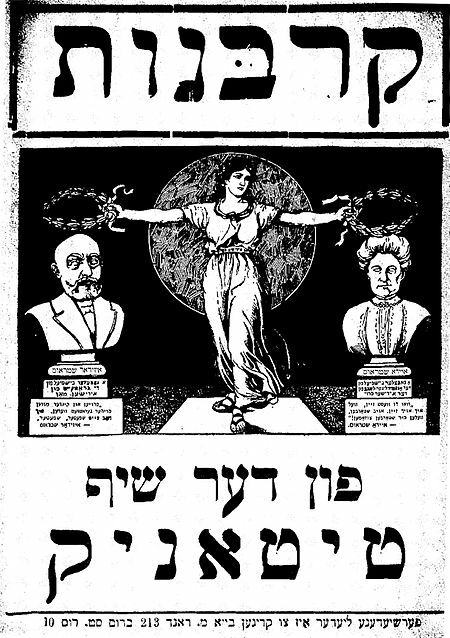 (1920). "Straus, Isidor" . Encyclopedia Americana . ↑ Thrasher, Steven (February 23, 2010). 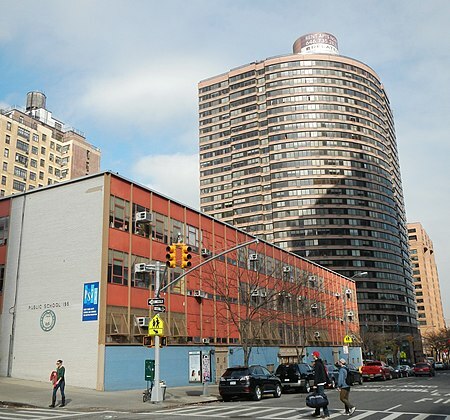 "Inside a Divided Upper East Side Public School: Whites in the front door, blacks in the back door". The Village Voice . Retrieved March 6, 2010. ↑ "Harvard Gazette: This month in Harvard history". United States Congress. "Isidor Straus (id: S001000)". Biographical Directory of the United States Congress .